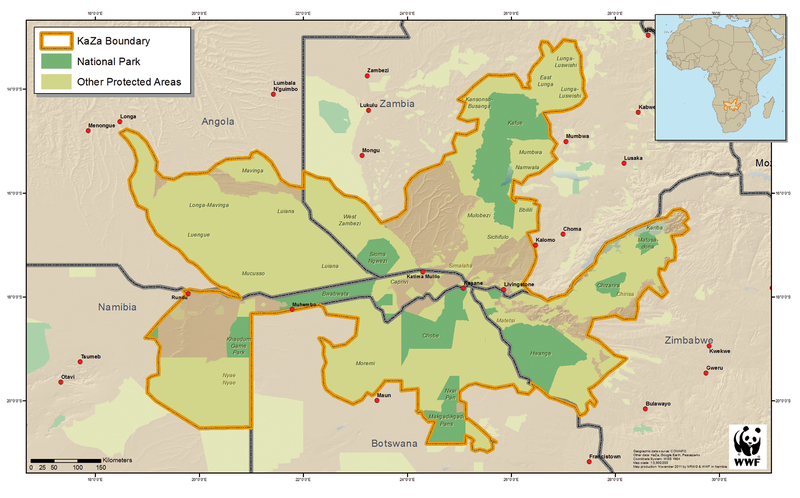 The Zambezi Region, Namibia’s tropical, river-bound north-eastern extremity, is the glue that holds the five partner countries – Namibia, Angola, Zambia, Zimbabwe and Botswana – of the world’s largest transfrontier conservation area together. I n March 2012 the final stamp of approval was officially given to the long-awaited Kavango-Zambezi Transfrontier Conservation Area (KAZA TFCA). This biodiversity hotspot is viewed as a diamond in the rough, a budding tourist mecca that is ripe for the picking. For many, the area – which is home to a remarkable abundance of wildlife, birds, fish, forests and rivers – has never been fully acknowledged for its unique character. It is hoped that with the creation of the five-country cross-border partnership, the area will become a high-value tourism drawcard. By pooling their energy, resources, knowledge and experience, the five countries will focus on conservation as the key to developing tourism in the region, aligning policies and regulations. This, tour operators hope, will ease border crossings, making it simpler for tourists to access the tourism highlights while in the KAZA area. The major focus for the KAZA partners is to preserve the biodiversity that extends across all borders. A potential benefit is the re-establishment of traditional wildlife corridors that were cut off due to the establishment of borders. Elephant populations currently centred in small areas will be able to migrate and repopulate former home ranges, enhancing the wildlife populations of countries such as Angola and Zambia. The KAZA TFCA partner countries recognise that tourism is a key driver for the socioeconomic progress of local communities. The five respective governments believe that by supporting community members – inherently the custodians of the resources within the KAZA area – issues such as wildlife conflicts can be tackled jointly. Thus communities will be able to benefit directly from being custodians and protectors of their natural surroundings. Tourism operators are enthusiastic about the KAZA TFCA insofar as local people benefit, conservation benefits, and wildlife is the winner. While much work is still required for the KAZA vision to become a reality, the hope now is that countries will stand together, share policies and cast a protective and uplifting net over this spectacular, pristine natural environment. The KAZA TFCA area encompasses approximately 520 000 km2, approximately the size of Sweden. It is situated around the Kavango and Zambezi river basins, where the borders of Angola, Botswana, Namibia, Zambia and Zimbabwe converge. The area is home to almost 50 per cent of Africa’s elephant population. Over 800 bird species populate the KAZA area. 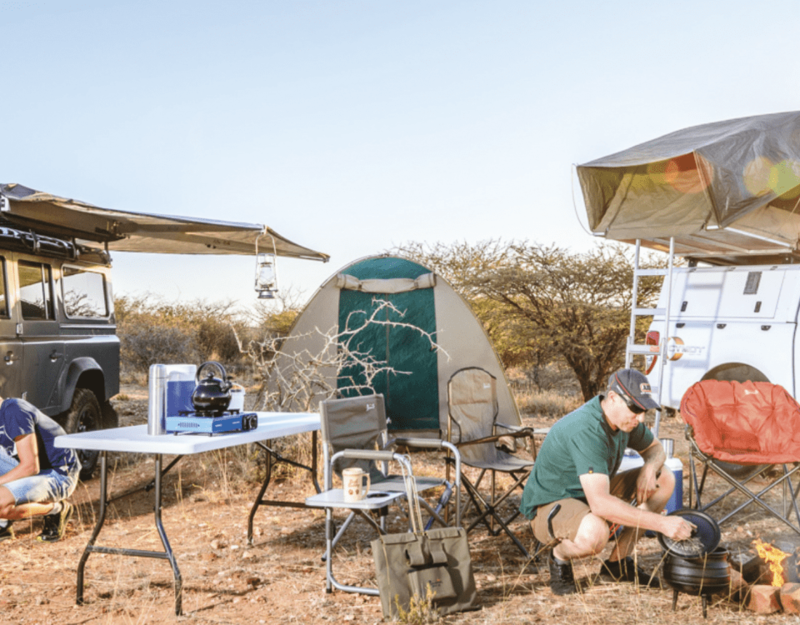 KAZA comprises multiple resource-use zones, including 36 proclaimed protected areas such as national parks, game reserves, forest reserves and conservancies. Game and wildlife-management areas and communal lands also form part of the area. The five partner countries are bound together by the Zambezi Region – the narrow extension that protrudes eastwards from the north-eastern tip of Namibia, and which forms the nucleus of the KAZA TFCA. The Zambezi is described as a wetland paradise criss-crossed and surrounded by the Zambezi, Kwando/Chobe, Okavango and Linyanti rivers. Its different habitats consist of teak and mopane woodlands, grasslands, floodplains, acacia woodlands, and riverine forests. The rivers attract a myriad of wildlife species, including the densest bird population in Namibia. Some 17 communal conservancies have been gazetted in the Zambezi Region, or are close to receiving legal recognition by the Namibian Government. Thus large sections of the Zambezi are under communal conservation programmes, linking conservation with tourism and improving livelihoods. One of the main aims of the KAZA TFCA partner countries is to harmonise policies and cross-border regulations, and to develop the infrastructure between these destinations. The goal is to allow tourists from regional and international markets to explore the five-country block as never before. The Zambezi is unlike any other part of Namibia. Receiving the highest rainfall in the country, this lush, tropical wonderland is surrounded by perennial rivers, making it a tree- and bird-lover’s paradise. In some areas the rivers offer splendid views across large wetlands, in others tree canopies cast cooling shadows across the water surface. The fertile wilderness is home to an abundance of wildlife, including big game such as elephants, and a diverse profusion of birds, while freshwater anglers have the opportunity to land the big one. 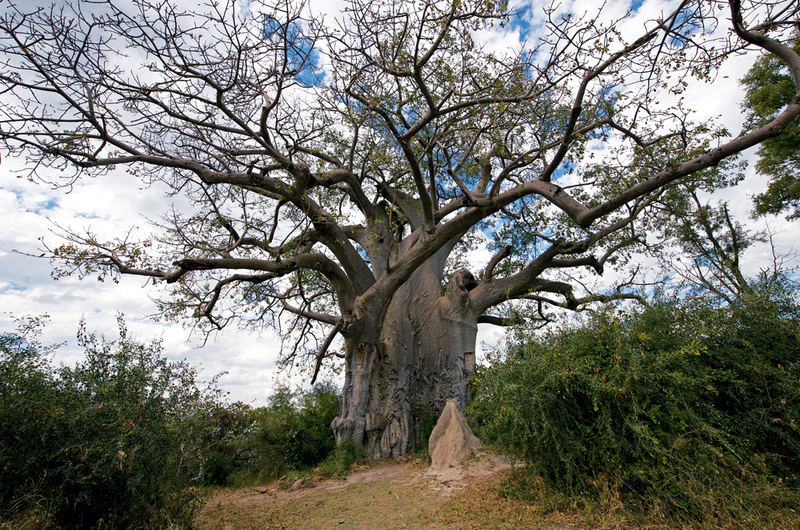 Numerous parks dot the Zambezi Region, enticing tourists with the prospect of getting up close and personal with nature. Described as ‘the jewel of the Kalahari’, the Okavango Delta is a unique, tranquil and isolated wetland set in the otherwise harsh and waterless heart of the Kalahari Desert. The Okavango Delta – which forms part of the Moremi Game Reserve – is the world’s largest inland delta and biggest Ramsar site. From here visitors can visit the Chobe National Park, which borders the magnificent Chobe River. 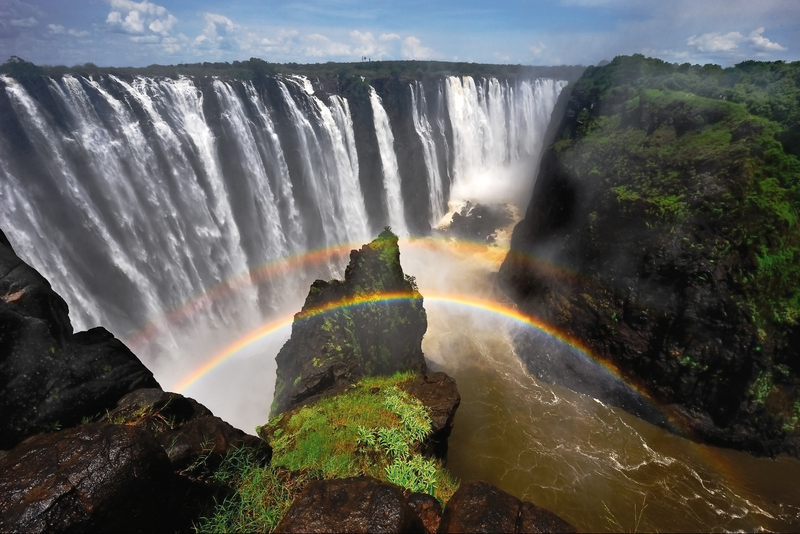 A must on any itinerary when visiting the KAZA area is the spectacular spectacle of the Victoria Falls. A World Heritage Site and one of the seven natural wonders of the world, Vic Falls is regarded as Africa’s top adrenalin centre. A host of activities are offered here, including white-water rafting, safaris on foot and helicopter flights. The town offers fascinating displays of its pioneering and colonial past, which played a formative role in a large section of the KAZA region. Hearing the dramatic roar of water will be a highlight of a KAZA adventure. 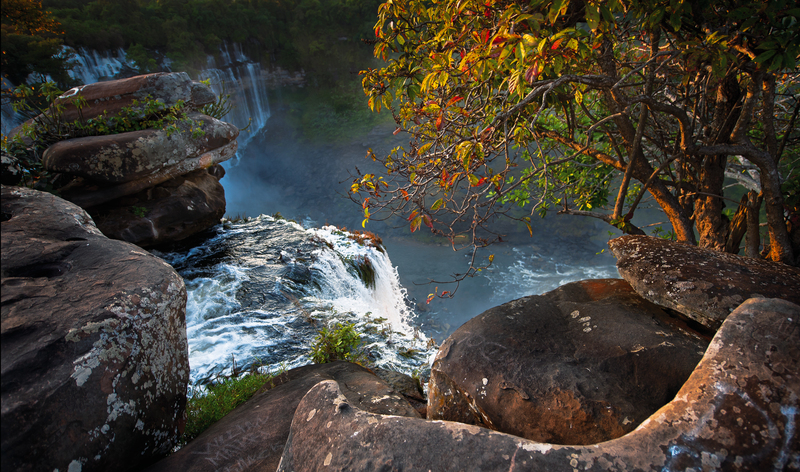 Still relatively unexplored by global tourists, Zambia is increasingly becoming a tourist must-see, renowned for its untouched natural landscapes and wildlife. Unknown to many travellers, the Kafue National Park – Zambia’s oldest and largest national park (about the size of Wales) – boasts one of the greatest diversities of wildlife in Africa. 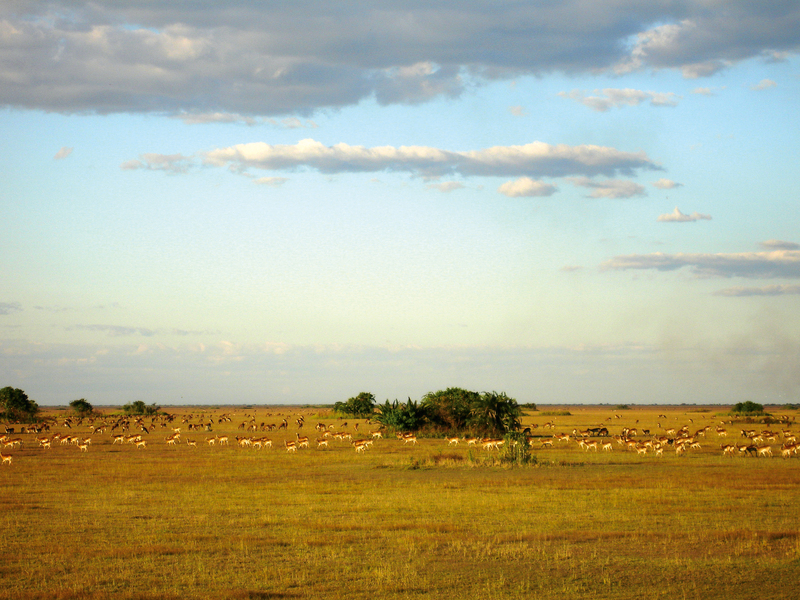 The Busanga Plain in the north-west is a wide floodplain that is inundated for most of the year. Its lush meadows offer tasty snacks for thousands of red lechwe and Cape buffalo. Lions, leopards and cheetahs are frequently spotted in this vast, pristine expanse. This park and many more can be visited in the Zambian segment of KAZA. Heavily impacted by decades of civil war, Angola is slowly but surely embracing peace and opening its doors to tourists, increasingly attracting visitors to its scenic rivers, countryside and coastline. Travellers report that the country provides a rich cultural experience. It is believed that the establishment of the KAZA TFCA will attract elephants from other KAZA partner countries to Angola’s wildlife areas. Flying into the KAZA TFCA from any of the major hubs in Southern Africa with convenient links to the rest of the world is uncomplicated and direct. From Windhoek’s Hosea Kutako International Airport, Air Namibia provides daily flights to Vic Falls and Katima Mulilo in the heart of KAZA, and daily flights to Maun on the edge of the Okavango Delta in Botswana. Air Namibia also flies daily between Namibia and Lusaka in Zambia, with connecting flights to Cape Town, Johannesburg, Lusaka, Accra and Frankfurt. All the larger airlines fly from Johannesburg and Cape Town – hubs that are connected with other major tourist destinations in the world – to Windhoek. This article was first published in the Travel News Namibia Winter 2012 issue.